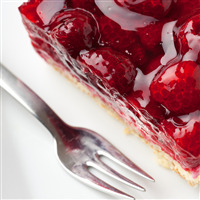 Sweet and tangy red cherry married with hints of fresh fruit syrup. Gluten-free. COMMENTS: I am addicted to this flavor! I make about 30 different kinds of lip balm‘s and this is one of my favorites! "Lip Balms and Lip Scrubs"
COMMENTS: It made a wonderful lip balm and I also made a lip scrub. Most people bought both. COMMENTS: I Love this Flavour Oil...and it tastes really good like cherries. I will definitely buy this flavour oil again. COMMENTS: Perfect in my lip balms and a big favorite. I will have to always keep this in stock. COMMENTS: I purchased cherry kiss to use for lip scrubs and lip balms. 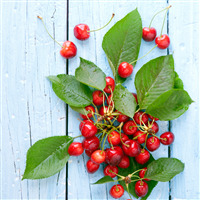 My customers absolutely love the cherry fragrance and taste for lip balms and lip scrubs. I keep selling out. A little goes a long way for this flavor oil. COMMENTS: It has a slight medicinal smell but it is still usable. "This is another good flavor"
COMMENTS: This is a great flavor but I do wish it was a slight bit stronger. My daughter loves mixing the cherry with the grape and apple and creating her own flavor though the cherry disappears behind those flavors we have found when mixed equally. COMMENTS: This works great in our homemade base. Start with a little and work up. It is strong but very good. COMMENTS: This flavor oil has a low percentage of use in lip balms. If you follow the guideline for this oil, it doesn't flavor the lip balm very well. I won't buy again. Instead I will stick to essential oils that have a higher percentage so I can use the maximum percentage under the guidelines. "Medicinal but OK mixed with Raspberry"
COMMENTS: This was medicinal and I would not purchase it again. It tasted too much like cough syrup on its own. However, when we mixed it with the raspberry flavor it was actually nicer than either alone. But alone, it is pretty gross. COMMENTS: This flavor made a great lip balm. COMMENTS: True Cherry taste and makes other great Flaves when blended: Cherry- Pina-Colada, Chery-Menthol, Cherry-Pineapple, Cherry-Mango, Cherry-Vanilla striped etc. Great blending flavor or on its own! • Yummy all by itself! COMMENTS: This tastes great! Just the right amount of sweet with the flavor or scent. Nice cherry scent - not like cough syrup. Will use again! COMMENTS: Smells like medicine! I havent tried it in my lip balms yet but it arrived fast and undamaged. COMMENTS: I love this sweetened flavor oil! You don't need much, a little goes a long way and it is well worth it! I have used this in I. Lip gloss pots, the tin type as well as lip balm tubes, like the chapstick type! When I run out I will order again and again! I highly recommend it!! COMMENTS: I didn't find this scent to be all that much like cherry. It had an almost nail polish remover scent to me. I guess it's more of a tart cherry scent. "Makes for a great little scent"
COMMENTS: I love mixing this scent with coconut. My customers love this mixed scent. They buy this like crazy and the men think it reminds them of the beach. Great scent alone or mixed. COMMENTS: This flavor oil is nice.I used it on lip sugar scrub and lip balms. I like the scent, but this was not the best seller. COMMENTS: My clients cannot get enough of how great this taste! Makes you want to eat it. COMMENTS: Taste great with a little sweetener in Cherry Lip Balm. COMMENTS: A lot of people love this classic flavor. A great seller for me! COMMENTS: I made 10 little pots of lip balm-gloss. I used 14g of coconut oil, 7g coca butter, 7g Shea butter, 4g jojoba oil, 4g almond oil, 14g beeswax, added lip safe colorants and it was a mild dark pink after mixing my pigments, I used 2.5 ml/g of cherry kiss. My daughter accused me of melting down store bought lip smacker and put in my little pots. LOL very nice product and will be trying more in the near future. They are nice and sweet and no bitterness at all. Very smoot and soft on the lips. COMMENTS: Love this flavor!! I have customers who want me to make them everyday lotion from this it is soo good! COMMENTS: The younger people love this one. COMMENTS: Very cherry! Adds a nice touch to any regular lip balm. "Cherry Kiss - Sweetened Flavor Oil 781"
COMMENTS: I used this flavor oil for a lip gloss recipe here on WSP. It has a great flavor, is easy to use and has a nice scent as well. I've tried it alone and mixed with the Vanilla flavor oil and it did well both ways. My line of lip products is limited right now - as is my experience in making them, so my next reveiw will hopefully be a lot more helpful to others once I know more about what I expect, need and want from this type of product. COMMENTS: I used these to make a flavored massage oil (can't say edible because of FDA regulations). I used a ratio of 16 ounces of flavor oil to 112 ounces oil. This flavor oil TASTES GREAT and makes an excellent choice. I have just added the massage oils to my product line so I cannot attest to the selling feature....but the flavor it great and the best price I've found. COMMENTS: Love the cherry flavor in our lip balm. COMMENTS: This smells like cherry cough syrup out of bottle. It's usable, but it's not what I was hoping for. COMMENTS: A nice choice for our lip balm tubes. 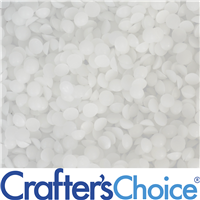 "Crafters Choice™ Cherry Kiss - Sweetened Flavor Oi"
COMMENTS: YUM!! Full cherry flavor. I added cocoa powder to a batch of lip balm to create a cherry/chocolate flavor...got a great response. COMMENTS: My daughter said she loved this flavor...it smelled perfect, not like a lot of the artificial ones she's had in the past. COMMENTS: I got this toward the end of the summer but it didn't take long to catch on with customers. Kids really like it. This is a great cherry flavor. Add some color and it flies out the door. Definitely will keep in stock. COMMENTS: Works great. Easy to use. COMMENTS: Smells so perfect, flavor a bit more dark cherry. COMMENTS: I love this cherry flavor oil, it smells exactly like its name. Its easy to use and smells wonderful. COMMENTS: This flavor oil is very good! 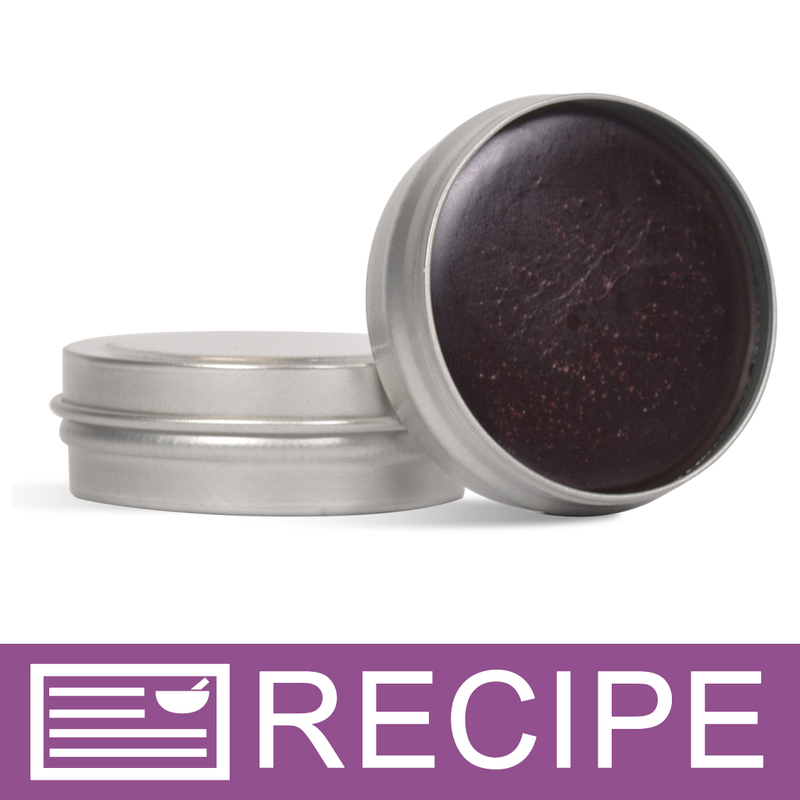 It's a fast seller, especially when I add red oxide to a tinted lip balm. A little bit goes a long way! COMMENTS: I love everything related to lip balm. It is my main seller. Cherry Kiss is a great flavor. COMMENTS: Bought this to use in my lip balms. I love it and I actually added the Vanilla with it. My customers were requesting Cherry Vanilla and they love it!!! COMMENTS: This is great in lip balms. Adds a little flavor, and everyone seems to like it. 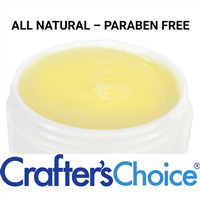 COMMENTS: This is just perfect in my lip balm but even better when mixed with the vanilla and added to my massage oil. I LOVE the smell!!! COMMENTS: I use this scent/flavoring for my massage candles, and lip balms. They are amazing!! The scent is warm, inviting, and down right memorable. COMMENTS: Tastes just like an old-school cherry! COMMENTS: Will continue to order this flavor and need to try some more soon. COMMENTS: Oh so good! Reminds me of Luden's cough drops (that were more like hard candy drops). Smells nice and strong and tastes oh so sweet! Love it! COMMENTS: All my customers can't get enough of this scent! Need to reorder already! "best cherry flavor ive tried"
COMMENTS: I got a cheaper cherry flavor from another company and it just didnt smell right. This stuff is a little pricier but way worth it. "Could this be used for an edible massage oil?" Staff Answer Our flavor oils are not meant to be ingested. That's not really what I mean. They wouldn't be drinking the bottle. Also if you're flavor oils are not meant to be ingested why are they flavor oils? They're going to be ingested if put in lip balm. 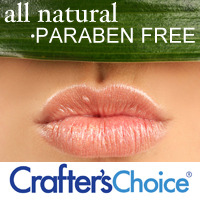 Staff Answer Flavor oils are safe to use in lip products. A small amount may get swallowed when licking the lips. This is still different than using in an edible product. "Can flavor oil be used to scent candles? On the bottle it says candles, body, etc"
Staff Answer They are used just for lip products. "What is the recommended percentage? I'm at a loss for the correct amount to use. " Depending on the flavor oil, anywhere from .5 to 2%. I make mine using 1%. "What percentage of flavor oil do you recommend to add to a product? I intend to use these for a lip balm that I am currently making without any fragrance/flavor oil. I understand that using too much can make the finished product taste bitter. I am also concerned that adding too much may be unsafe for a lip product. My current recipe is 90ml but I would be forever grateful if you could give me the percentage to any recipe if not to my own. Thank you so much!" Staff Answer The recommended amount is 1-2%. We suggest you start with 1%. You can always add more if you'd like. Most oils are good with just 1%. "Are your fragrance/flavor oils phthalate free?" Yes, WSP fragrances and flavor oils are phthalate free. They took this ingredient out long ago.